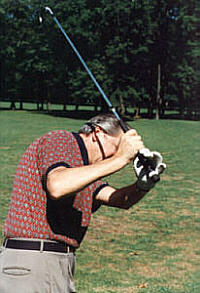 Have you ever taken golf lessons? What’s the first thing the pro checks? Powerglove is recognized as the only golf glove that ensures a firm hold on your club throughout the swing while promoting greater accuracy and distance. Most teaching professionals agree that the primary cause of bad shots by high handicap golfers is loose fingers or regripping at the top of the backswing, along with the failure to make a full shoulder turn. When regripping occurs, the club changes direction preventing the ball from being struck squarely on impact. This error causes your shot to slice or hook. The Powerglove has a “powerstrap” attachment which locks your club in proper position throughout the swing, reducing clubface twisting at impact when hitting out of the buried sand shot or from the deep rough. The “powerstrap” is especially helpful to those golfers who are arthritic or have a weak grip. The Powerglove is recommended as an effective teaching and training aid. Use the loop to ingrain that winning grip into your muscle memory to get the most from your practice play. During regulation play, the “powerstrap” is easily attached to the Velcro pad on the back of the glove. The Powerglove has a fine cabretta leather palm to stay soft and weather resistant. It can be used as a conventional glove simply by not using the “powerstrap,” which easily folds over and attaches to the Velcro pad on the back of the glove. 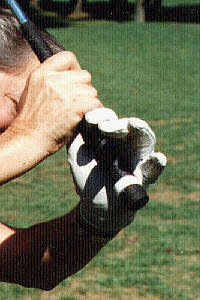 Locks the club into the correct position at the base of the fingers. Grips the club firmly throughout the swing. 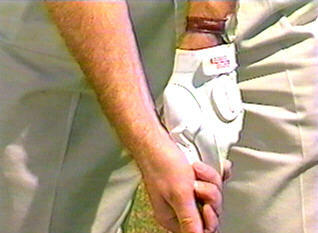 Prevents fingers from opening at the top of the backswing. Reduces twisting of clubface at impact. Promotes the development of a full body turn. Eliminates tension caused by a “too tight” grip. The Powerglove ensures that your grip and your confidence are secure! 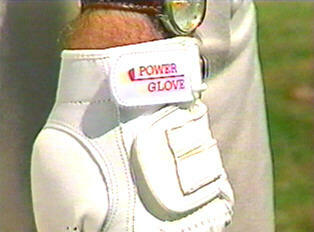 The Powerglove is available in sizes for men, women and juniors. Right-handed golfers order a glove for the left hand (LH), left-handed golfers order a glove for the right hand (RH)..
Now available for Junior golfers, the Powerglove for JR’s is an outstanding training and teaching aid for young golfers. Be sure to check out all the advantages of the new Powerglove for JR’s. Get a grip on your golf game! Order your Powerglove today!